In a small bowl combine the soy sauce, vinegar, sugar, and cornstarch. Mix to dissolve the cornstarch and set aside. 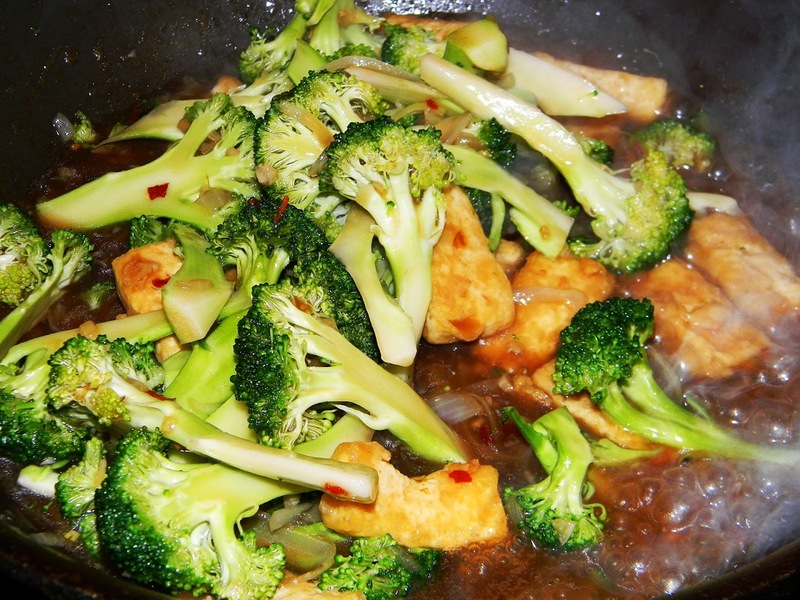 Par-cook the broccoli boiling water, then drain it and cool it under cold running water. Stir in the chicken broth; bring it to a boil, than stir in the soy-cornstarch mixture. Bring it to a simmer, then add the broccoli and bean curd. Stir and toss it to evenly coat it with sauce. Continue to heat the pan just until the broccoli is heated throughout.